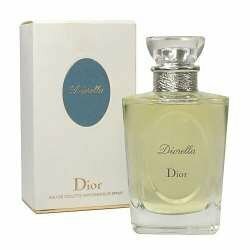 Diorella symbolizes the spirit of freedom of the 1970’s. This fresh, floral-chypre is gentle thanks to the floral notes which dominate the composition. Top notes are Sicilian lime and basil; honeysuckle and peach are in perfume’s heart, while vetiver and oak moss are in the base. Diorella was launched in 1970.